If we would examine closely the strands of those unseen webs that seem to catch and hold us captive every day, we would see that they are nothing more than the stuff of our own thoughts -- spun off by a mind never quite content to be where it is with what it has. In the competitive and complex worlds of business and science, imagination is critical to the processes of creativity. It serves a valuable and practical purpose. New developments are created by imagining better ways to improve old technologies. Important developments come in increments. Progress moves ahead one step at a time. But in our inner life, we don't want a continuation of what has been. We want the new, and the free. We don't want to repeat ourselves or build on patterns that contain obvious limitations. This means to succeed in our search for self-liberation we must proceed in a completely different manner than the world around us would recognize. We are bound to set our compass not by what we wish to find, but by what we know we must leave behind us. Awakening to our own True Nature is a process of letting go. This point is a significant one. We don't set out for what is limitless. Instead we quietly detect and reject those aspects of ourselves whose presence prevents us from enjoying the unrestrained life. As we let go of these invisible anchors, we find ourselves effortlessly rising towards the silent and ever-expansive nature of a free mind. But again, we mustn't try and imagine what our lives would be like living from this new nature. As our own experiences have shown us many times over, the pictures we create in our minds never live up to our expectations. And this is particularly true when it comes to the flattering images we hold of ourselves. For example, we've all known those terrible moments in life where the picture we have of ourselves, as being strong enough to deal with whatever happens to us, suddenly falls off the wall and shatters before our unbelieving eyes. And we're left standing there, stunned at how we could have been so blind to ourselves! So, we must make this clear. What we want is that freedom, those strengths that are based in reality. And to achieve these reality-based powers, we must seek them there: within what is real. And yet, over the years of teaching these principles of self-liberation, I've learned that the subject of reality is not exactly a welcome one. It seems most of us have little interest in facing what feels like the harsh light of our individual existence. It's not difficult to understand why. Our lives seem to flicker, like a bulb that may or may not light up the next instant. One moment we shine, the next moment what was once a glow is barely a flickering possibility. In that sometimes fading light, we see all too much about ourselves that seems shallow or loveless. We're frightened that life itself may be too bleak and cruel to withstand. And soon, the fear of what we see as being the reality of life, becomes the basis of our reality. This fear-filled mindset leaves us but little hope. We're reduced to looking for, and finding, the happiness we long for only in our hopes and dreams. And so it goes that our lives become based in tomorrow. How else can it be for us? For in the way we look at what we think is reality, today just can't be all there is! But the day to day existence we all find so hard to face without our dreams of escape is not real life. We only think it's real. And the only reason for this erroneous experience of reality is because we're still experiencing the whole of our lives in thought. We are not intended to think our way through this life of ours. The overwhelming evidence of this truth is all around us, only we've lost the innate ability to see it. 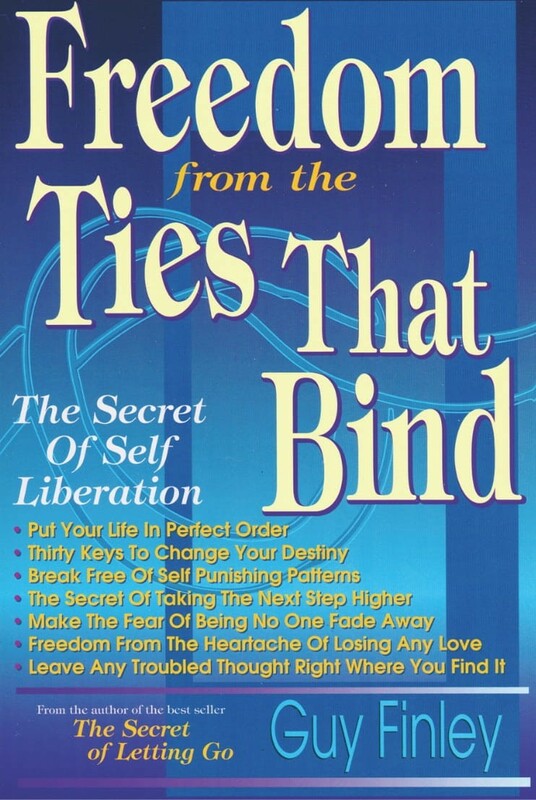 Excerpted From: Freedom From the Ties That Bind, pages 39-41.